Can I add expert camper to my resume? 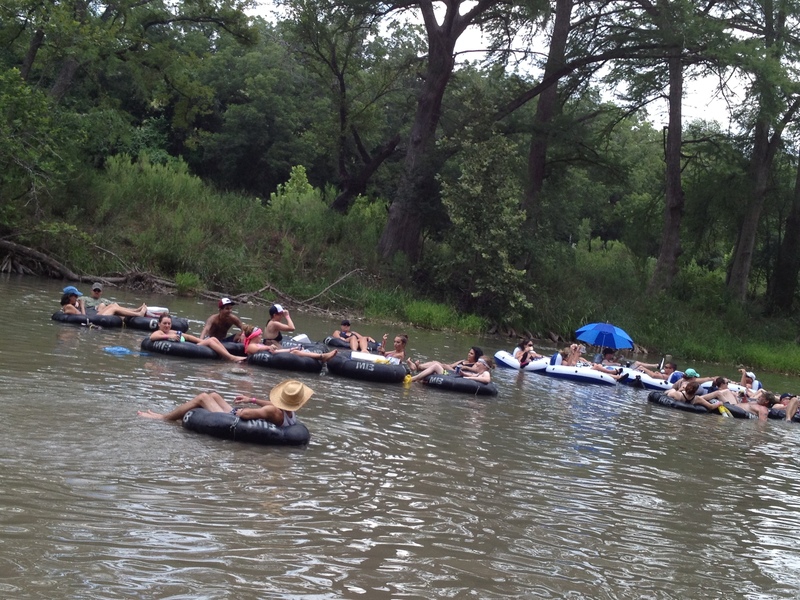 My favorite thing to do in the Austin area is to float the Guadalupe river. I have enjoyed our annual trip with my Dallas friends for the last three years. 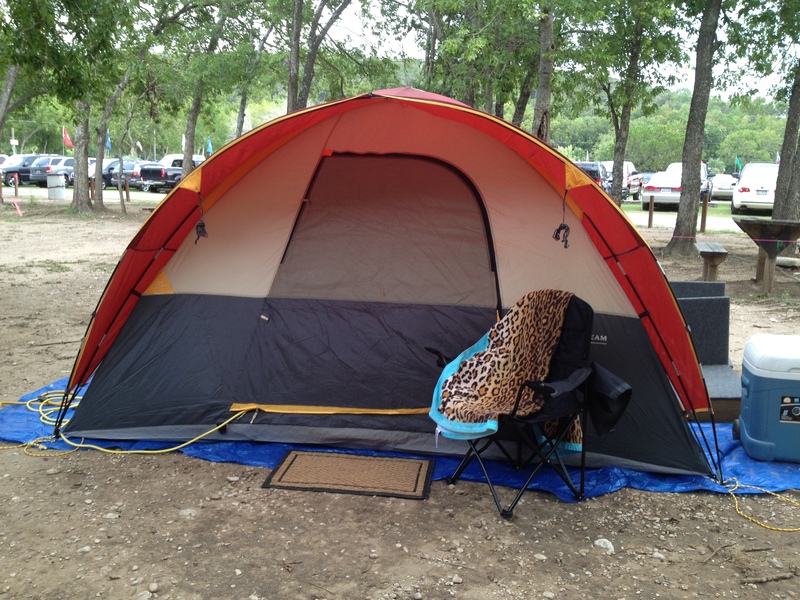 Last year was the first time we camped out there and we had such a great time, we decided to do it again. My friends got there early and got to float on Friday, too. ( I only got to float on Saturday.) We took the five hour excursion on Saturday and I loved every second of it. We still had to walk a little this year, but not nearly as bad as last year during the drought. Luckily, we stay at Mountain Breeze campgrounds, because that part of the river is outside the city limit, so this is a no can ban area and people can drink on the river. This year proved to be much more eventful than my previous camping trips. This year it decided to rain. Well, rain could be an understatement. It POURED. It was so scary because there was lightning, thunder and buckets of water being poured on us for about four hours straight. The electricity at the campsite went out, which is ok, because I really didn’t need a fan anyway. I was so cold last night. That’s really odd in July!! It didn’t help that I also forgot to bring sheets, pillows, and blankets. Luckily, the tent that I put up by myself didn’t leak too bad. I can’t say the same thing about my friend’s tent. I’ve decided that if it had to rain, I’m glad it happened on the last night. I don’t think I would have made it a second night had it rained the first night. I set the tent up all by myself and even put the overhang tarp on by myself. 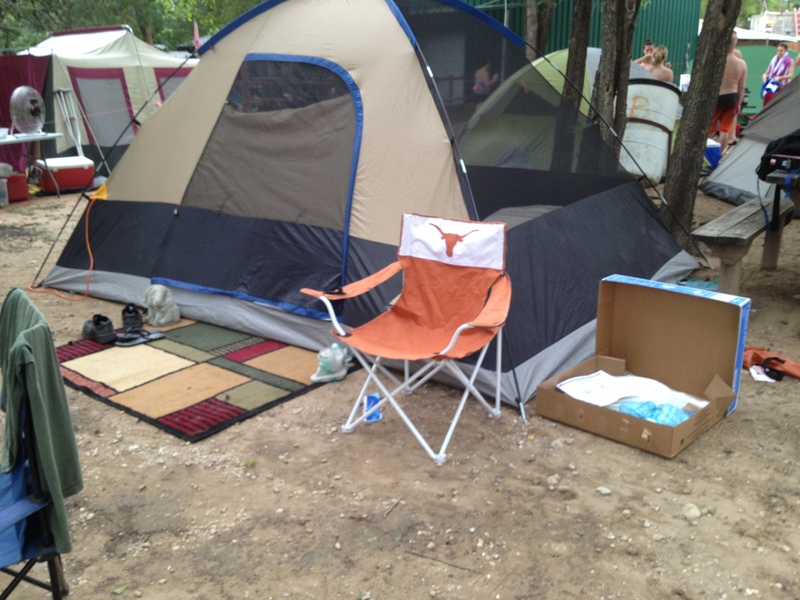 My friends classed it up a bit with the UT chair and yard art. They even had Christmas lights. Next year I’m going to have to do a little better with the decorations. Had a great day floating on the Guadalupe River. 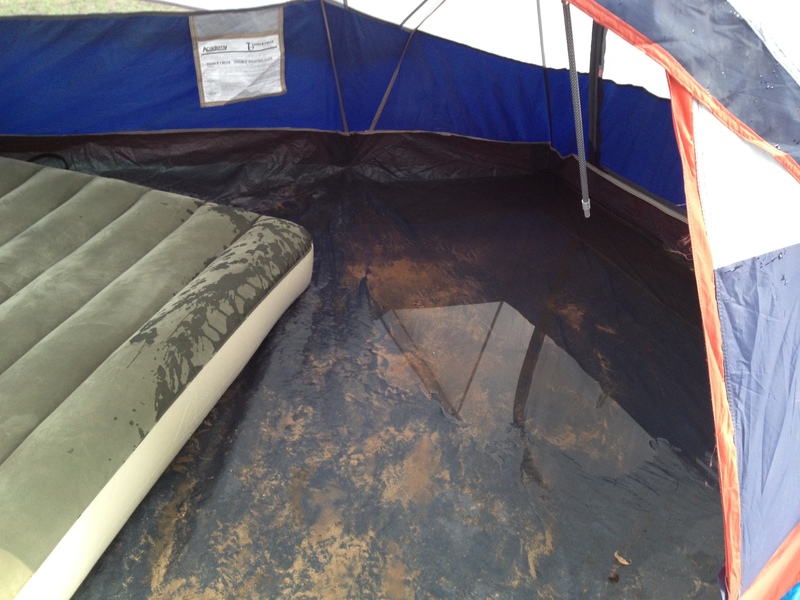 This was the bottom of my friend’s tent after the rain storm. I think they are going to have to get a new tent.